This weekend is Salute in London. I would have loved to be there, last year (Salute 2018 and the Operation Sealion!) was incredible fun and it would be great to see the folks again, but with all that Brexit stuff going on, I wasn't keen on booking a flight and then having a uncertain situation (or fresh new one) at the airport. Besides that, being a dad, just staying away for the weekend for leisure is something that you want to plan and use wisely (there are a couple of weddings this year, along with stag nights and such, so I might need one or two rain checks). Oh and then there is of course Crisis this year, that I wouldn't want to miss. Well, but what's going on in the 'bunker? 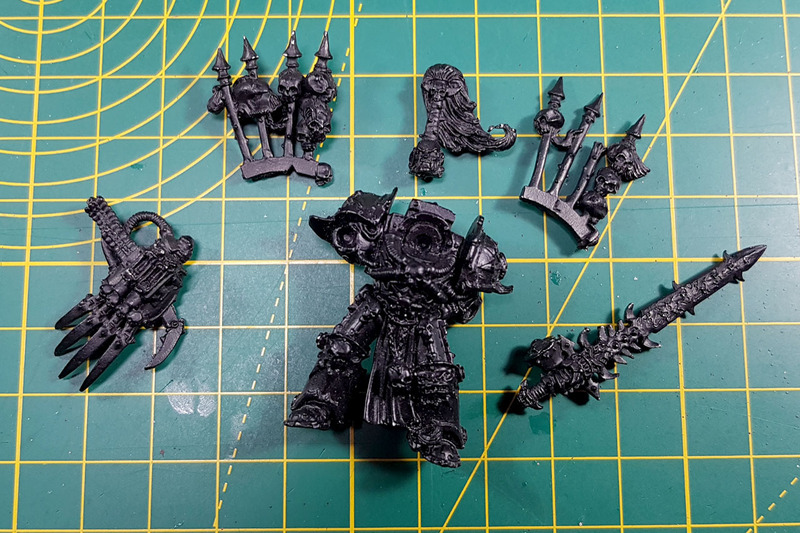 You've probably seen the reviews on the 2019 model of Abaddon the Despoiler and the Chaos Gate that isn't called a Chaos Gate. 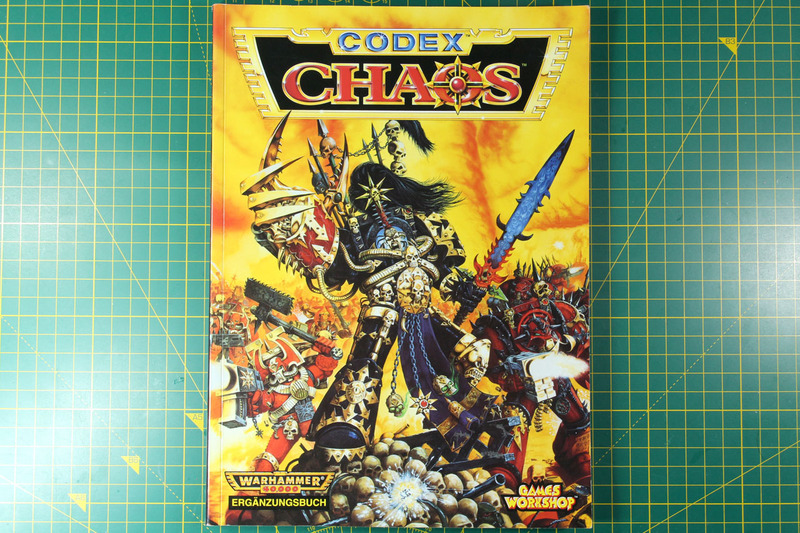 Browsing through the old Chaos Codex is very dangerous. 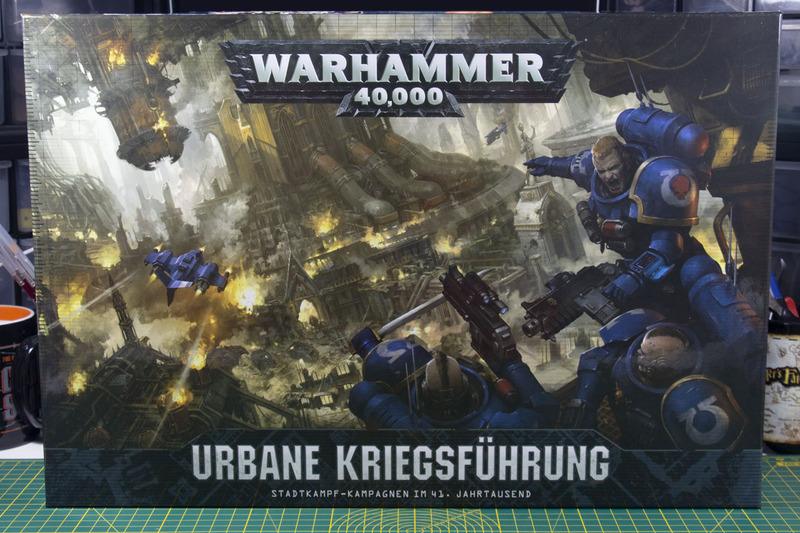 Alluring project ideas, especially for my oldhammer faible, but I'm currently involved enough with my Imperial Guard (and Eldar, wait, did I just spill the beans? Forget what you read...) and a new / additional Chaos project would just make it hard(er) to focus. 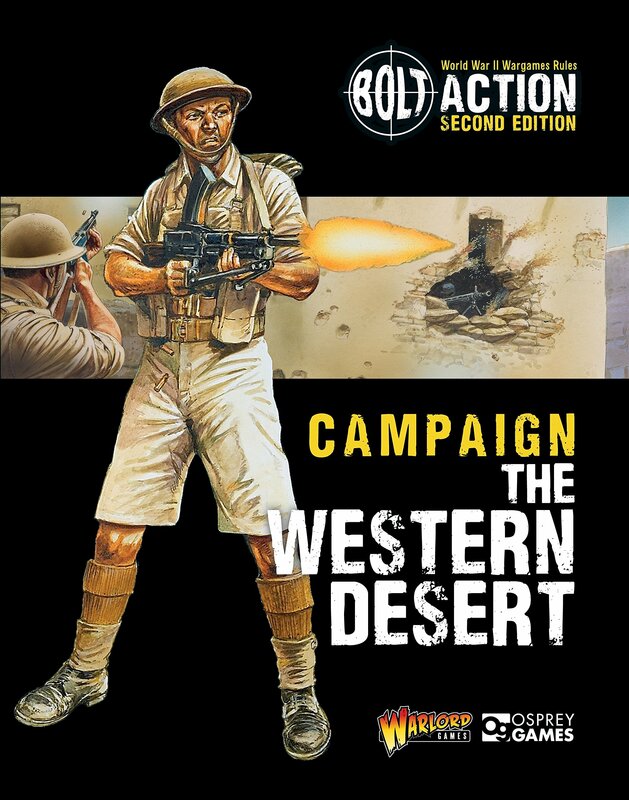 I have already covered the plastic kits of the Afrika Korps and 8th Army Infantry that came along with this campaign supplement for Bolt Action - Campaign the Western Desert. Now it is time for the book itself. The name already gives it away, this book covers the first chapter between 1940 and 1942 of the Afrikafeldzug or North African Campaign. With 168 pages a rather big book, actually currently the one with the highest page count, pushing The Road to Berlin from his former throne at 148 pages. 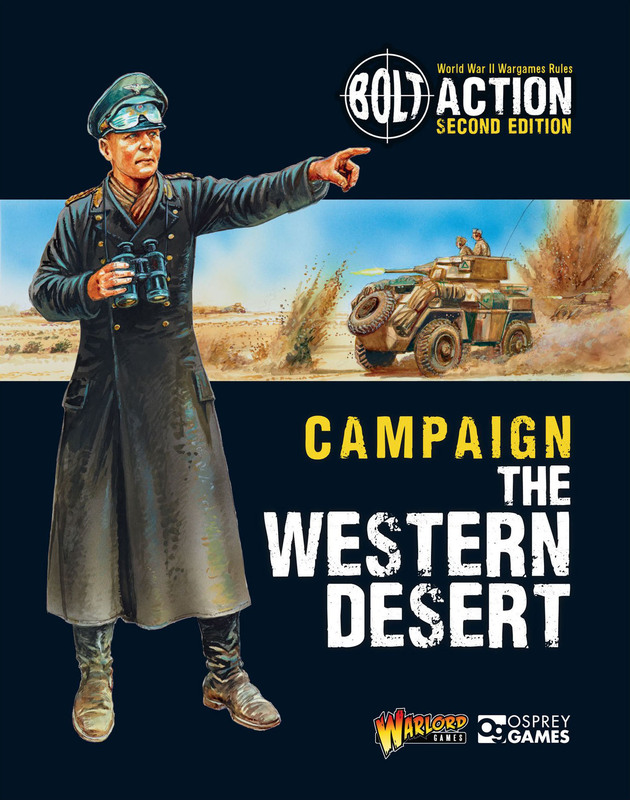 Warlord Games keeps the price at 19,99 GBP or 30 USD and offers as usual a direct exclusive miniature, in this case the very fitting Field Marshal Erwin Rommel. 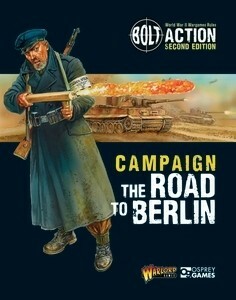 Next to the final cover, with Rommel himself, is the early cover with a British soldier carrying a Bren LMG. Nothing unusual, we already had different covers early among others for Duel in the Sun as well. 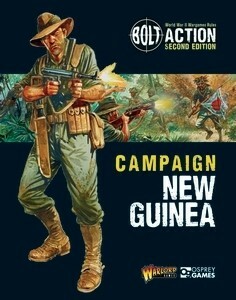 After Empire in Flames, Bolt Action revisites the far east with the supplement Campaign New Guinea. 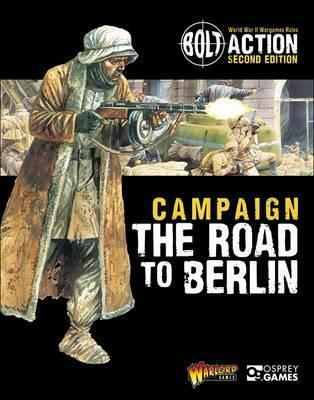 With 132 pages, Campaign New Guinea set a short new high score for page load, trumping Battle of the Bulge and Duel in the Sun (both 124 pages), only second to the recently released The Road to Berlin (148 pages). 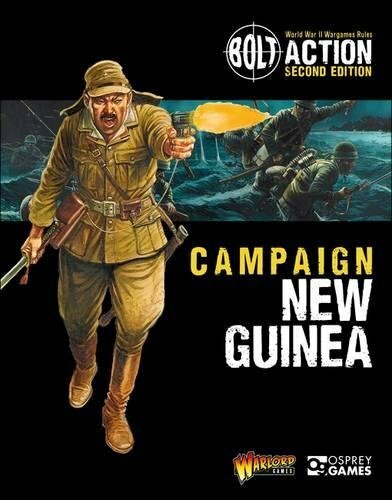 This campaign supplement covers the part of the pacific wars on the planets second largest island, between the Japanese Empire and the Allied Forces (Australian and US American). The price tag on this book reads 19,99 GBP or 30 USD, which translates roughly into 25 EUR. 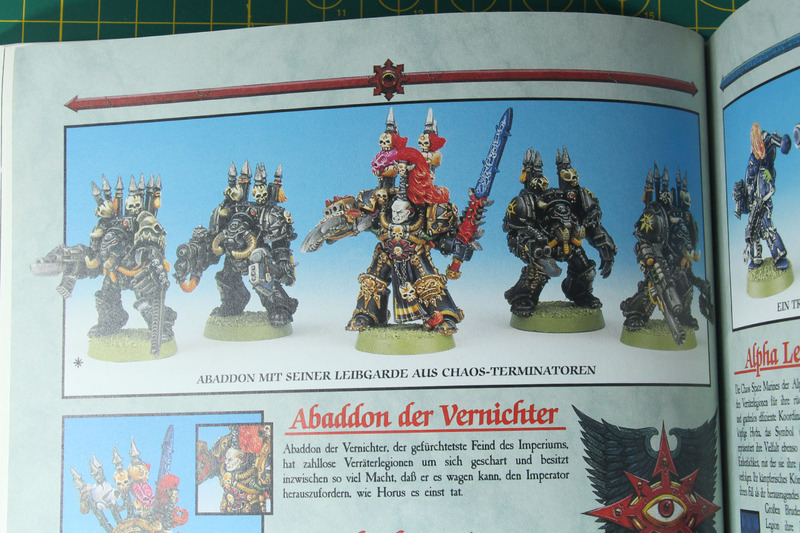 I want to start this review with the comparison of the final cover (left) and the early cover (right), presented by Osprey in one of their product catalogues. 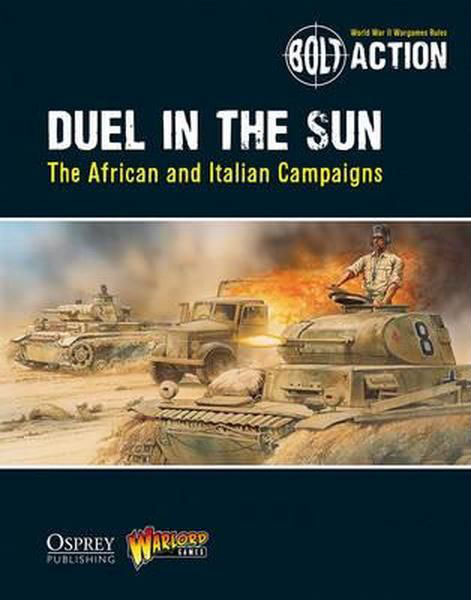 Nothing unusual, we already saw different covers circulating early among others for Duel in the Sun as well. 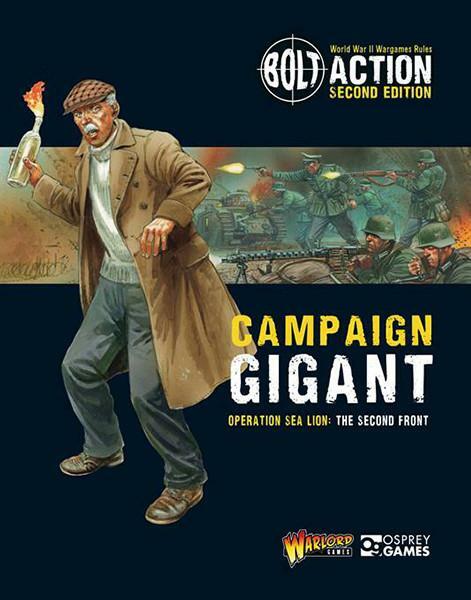 Campaign Gigant - Operation Sea Lion: The Second Front, picks up where the first chapter of Campaign Sea Lion stopped or better said came to a hold. The german plan of invading Great Britain was spun further. 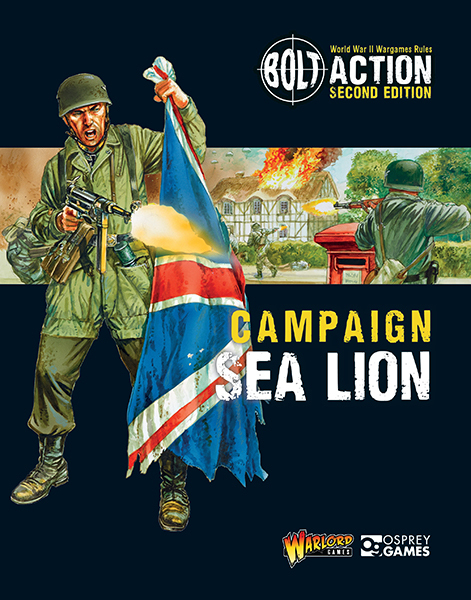 As the first chapter of the hypothetical campaign Sea Lion was incredibly successful as a product, it received a sequel quickly. 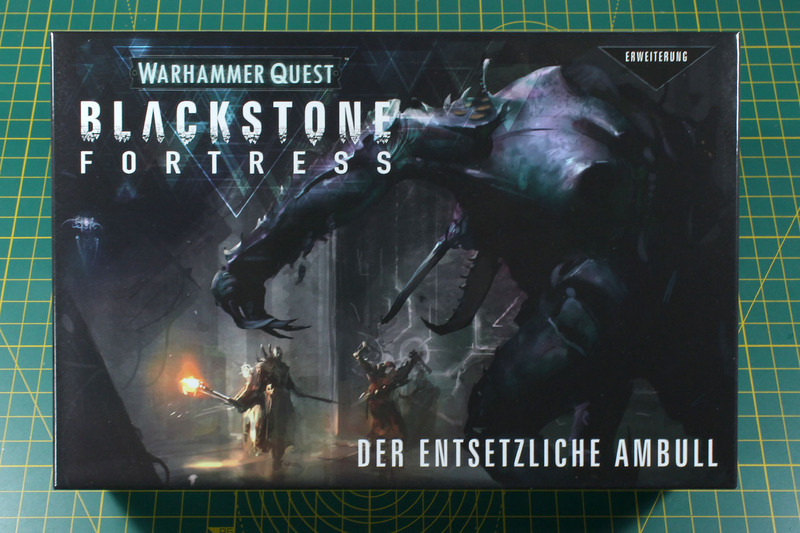 As many topics of the foundation were already covered in the 124 pages thick book, the Campaign Gigant is roughly half the size with "only" 64 pages. This makes the book cheaper, as it comes with a price badge of 20 USD / 12,99 GBP, which roughly translates to around 15 EUR. 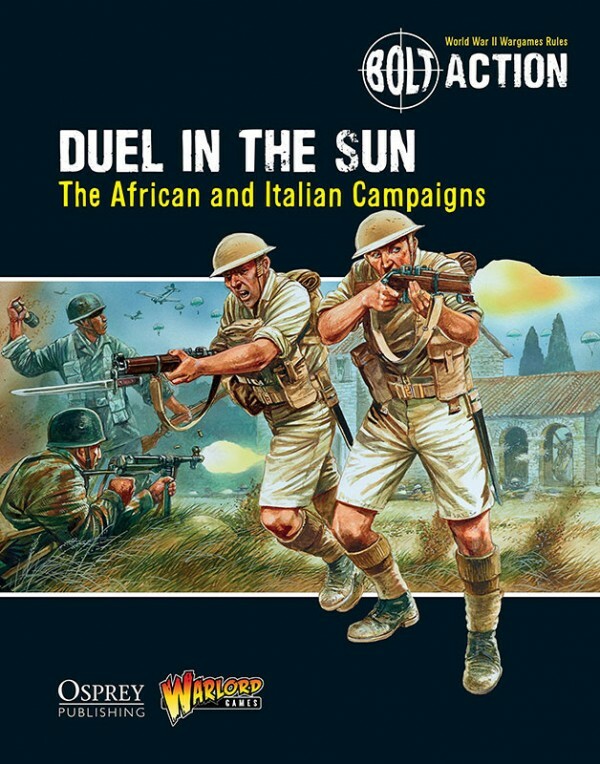 The Bolt Action supplement Duel in the Sun covers one of the most well known campaigns of the second world war, the African and Italian Campaigns. And we want to share it with you in this review. 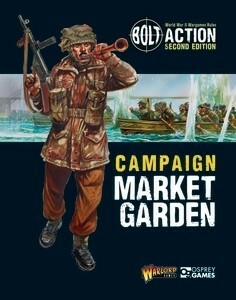 The second campaign supplement for Bolt Action Second Edition leaves the road of historic events and goes for the What-If scenario of the Operation Sea Lion. These were the plans of the german forces to invade Britain. 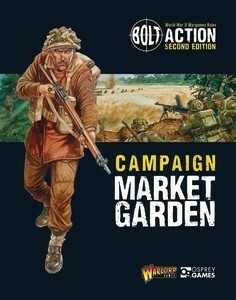 Sea Lion is another big expansion for Bolt Action, at least page-wise. At 124 pages it shares the lead with Battle of the Bulge. After covering the desert of Africa, the harsh winter of the Ardennes and several parts of the western front, the battle is brought "home" with Operation Seelöwe / Sea Lion. The operation was real, but never came to existence. There were severe plans by the Nazis to invade Britain in 1940, but the plans were never moved to realisation. 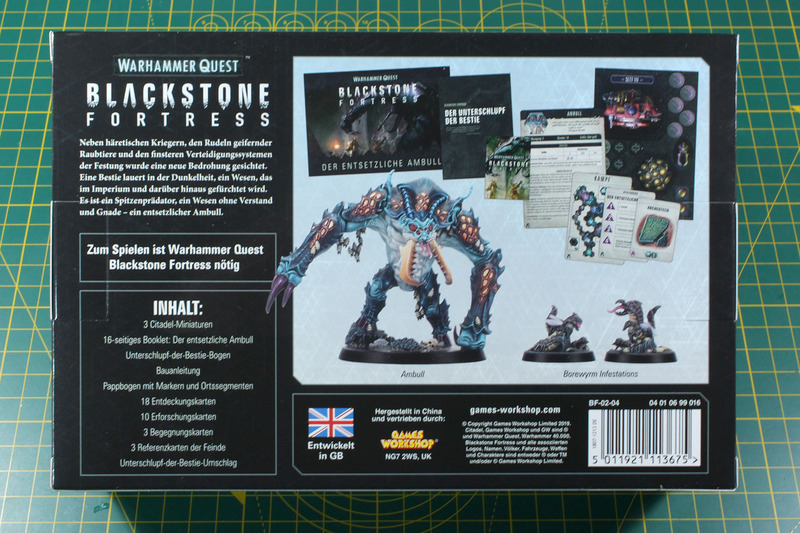 This campaign book is set at the new price range of 19,99 GBP or 30 USD, which translates around 25 EUR.